This coming weekend, Formula E travels to the picturesque location of Sanya, China. Famed for its beautiful beaches and clear blue waters, the location is a brand new one for the all-electric race series but whilst it may not be the heart of a bustling city-centre, it remains just as important. 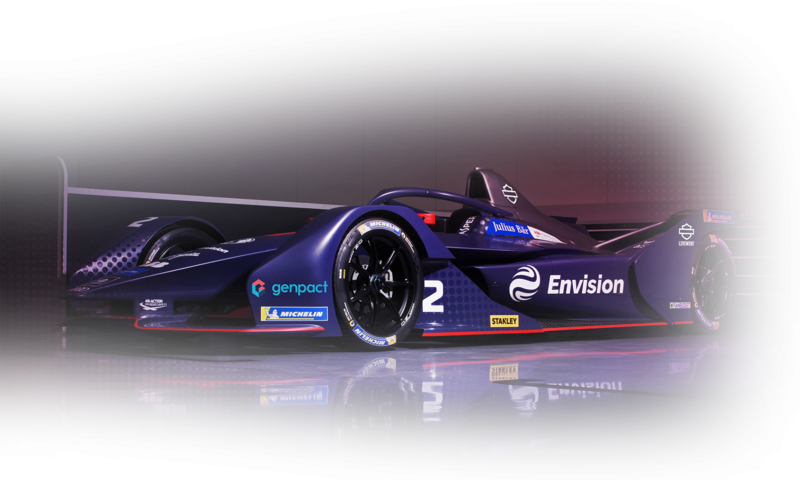 That’s because it’s the perfect opportunity for the series, and the Envision Virgin Racing team, to highlight another climate change issue aside from sustainable mobility….ocean pollution. The ocean provides 50% of the oxygen we breathe. It regulates the systems that keep planet Earth habitable. Ocean currents, water temperature, and salinity determine global weather patterns. The ocean itself has absorbed about 30% of the carbon dioxide and over 90%of the heat we put into the atmosphere, and if we are going to solve the climate change crisis, we need the ocean to thrive. But the ocean as a system is at risk, struggling to keep pace with rising temperatures, pollution, and the absorption of greenhouse gases. To climate and ocean experts, it is increasingly clear that urgent action is required to preserve the essential functioning of both the ocean and climate systems, and that saving one can’t happen without saving the other. Yet historically, ocean issues and climate issues have been treated as if they exist apart: discussed in different political fora, by different experts, with separate treaties and goals. Now, however, as scientific reports increasingly demonstrate the links between the ocean and climate systems, the associated policy worlds are intertwining. Under the 2015 Paris Agreement, signatory countries committed to curb carbon emissions to avert the worst effects of climate change and set goals to enhance their ability to adapt to changing conditions. A key piece of this is each country’s “nationally determined contribution” (NDC). NDCs are the blueprint for how countries will address climate change by reducing greenhouse gas emissions, and how they will adapt to the impacts of climate change. The ocean has played a role in some of these blueprints – whether it’s a focus on dealing with sea level rise or protecting mangrove forests to ensure the carbon they contain is not released, but it has been a bit part rather than a starring role. The good news is that is starting to change. We have all heard about – or seen – the impacts climate change has on the ocean, from the death of coral reefs to dramatic changes in fish populations. Beneath the surface, we see other symptoms – early signs of slowing circulation that can impact rainfall patterns and climate stability. Clearly, our ocean and climate systems are not functioning well together. Thankfully, a coalition of governments has emerged that is committed to addressing these shared challenges in new and integrated ways, sharing ideas for how they can write the rules on climate action to include the ocean, and how they can include the ocean in their NDCs. For example, while NDCs include measures to reduce greenhouse gas emissions, they do so without recognising that not all gases are created equal. Unlike other gases, carbon dioxide is absorbed by the ocean in massive quantities, leading to chemical changes that make the ocean more and more acidic—a process known as ocean ‘acidification’ and key contributor to the loss of shellfish and coral reefs worldwide. Scientists predict that if climate and ocean policies don’t change, we could see fisheries collapse and the global die-off of coral reefs in our lifetime. As governments look to include ocean measures in their NDCs, this type of information is critical for them to consider. Other measures that governments hope to incorporate into NDCs include the protection of marine ecosystems that store carbon, like mangroves, saltmarshes, and seagrass beds. There have been significant steps taken towards this end through the establishment of marine protected areas, reduction of nutrient pollution and the restoration of these critical ecosystems, but much more needs to be done. While the possible discovery of water on Mars opens doors for future exploration and discovery, if you look at the red planet, devoid of life, it is also a stark reminder of what distinguishes Earth from all other planets: it is covered by a vibrant, life-giving ocean. If we don’t take that into account as we confront the existential challenge of climate change we will not be able to secure the future of the planet as we know it. This article first appeared on www.virgin.com.